IIHS Top Safety Pick. Carfax One-Owner Vehicle. Dealer Certified Pre-Owned. This Volkswagen Golf GTI delivers a Intercooled Turbo Premium Unleaded I-4 2.0 L/121 engine powering this Automatic transmission. Wheels: 18 Austin Alloy, Vw Car-Net Selective Service Internet Access, Vw Car-Net Emergency Sos. 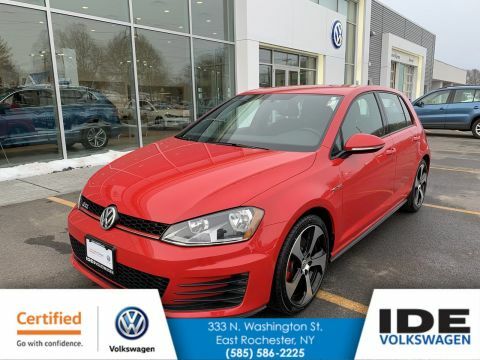 * This Volkswagen Golf GTI Features the Following Options *Valet Function, Trip Computer, Transmission: 6-Speed DSG Auto w/Tiptronic -inc: paddle shifters, Tires: P225/40R18 AS, Tailgate/Rear Door Lock Included w/Power Door Locks, Systems Monitor, Strut Front Suspension w/Coil Springs, Streaming Audio, Steel Spare Wheel, Sport Tuned Suspension. * Feel Confident About Your Choice *Carfax reports: Carfax One-Owner Vehicle, No Damage Reported, No Accidents Reported, 12 Service Records. * This Volkswagen Golf GTI is a Superstar! *IIHS Top Safety Pick, NACTOY 2015 North American Car of the Year. * Expert Reviews! *As reported by The Manufacturer Summary: Redesigned for 2015 welcome in the Golf GTI. Making a vehicle stronger generally means adding more weight but with the new GTI Volkswagen was able to incorporate ultra-high-strength steel which is stronger and lighter than conventional steel. The autobahn-tuned suspension separates the GTI from the rest of the pack with tighter body control; the GTI can stay more level in corners with improved grip, while still managing to provide a smooth ride. The heart of any sports car is its engine, which is why Volkswagen decided to give this one an adrenaline boost. With the most horsepower and torque of any GTI ever built for the U.S., and new performance-enhancing technologies, this hot hatch produces up to 210hp and 258 lbs/ft of torque. 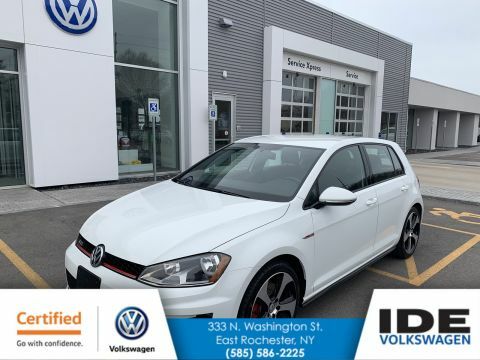 With the Performance Package you can get an additional 10hp along with a torque-sensing limited-slip differential and high-performance front and rear brakes with GTI embossed lettering. 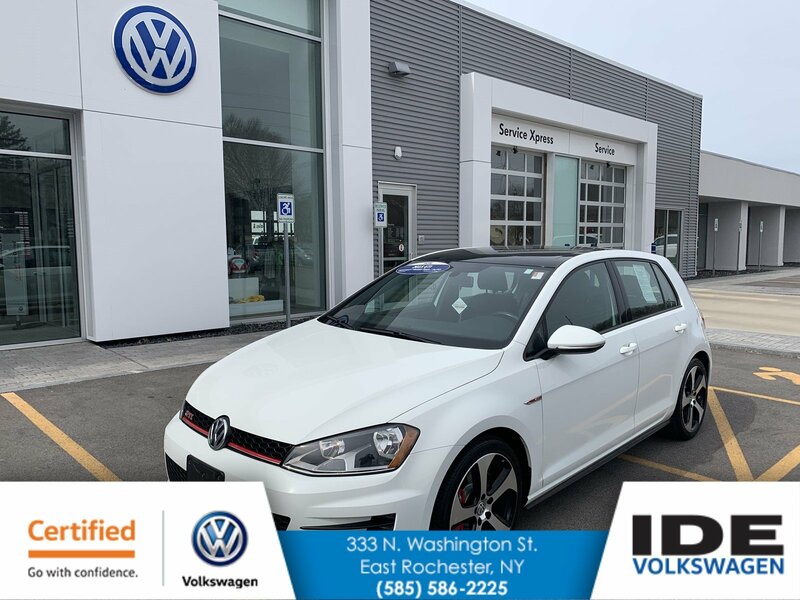 Inside the GTI us with loaded standard features including a touchscreen sound system, top sport heated front seats, and much more. Upgradable technology features include Volkswagen Car-Net to help you stay connected with your car even when you're apart from it. If you want concert-quality sound, just turn up the dial on the available Fender Premium Audio System. Also with the available Driver Assistance Package there is a Park Distance Control system with front and rear proximity sensors and Forward Collision Warning system. With the available Lighting Package you can get Bi-Xenon high-intensity headlights with LED Daytime Running Lights and Adaptive Front-lighting System. 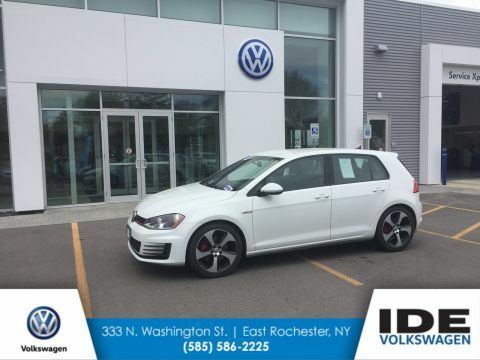 * Stop By Today *Test drive this must-see, must-drive, must-own beauty today at Ide Volkswagen, 333 North Washington Street, East Rochester, NY 14445.